Nike Basketball’s latest trend is a blast from the past. The brand has found success dressing up their most recent signature models in colorways representing iconic creations from the early 90s. There was the Nike Kyrie 2 “Kyrache” inspired by the Nike Air Flight Huarache – a shoe made famous by Michigan’s Fab Five – and now there’s the Nike LeBron 13 Command Force. 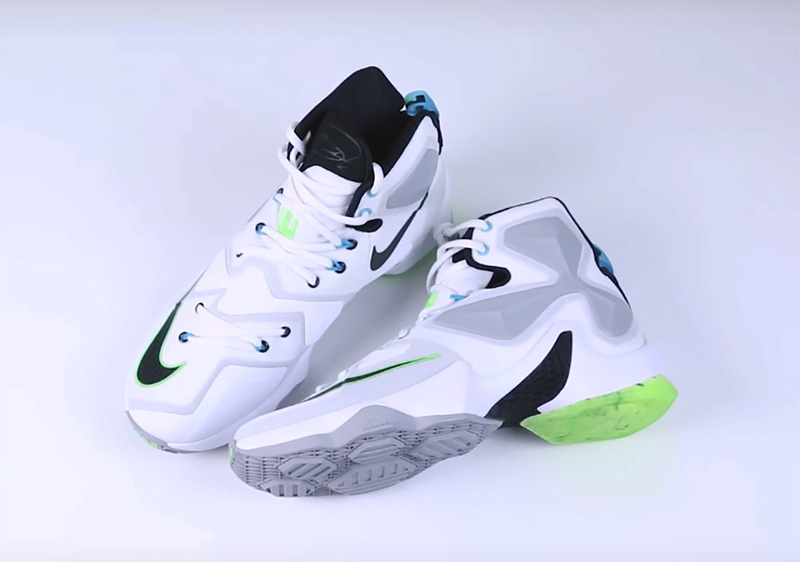 This LeBron is transformed by the OG colorway of the Nike Air Command Force, that towering sky high-top that saw a retro back in 2014 complete with a functioning pump, taking us back to the days of dominant centers and their marketing appeal. This LeBron 13 will be available this Saturday, June 11th for $200. Be sure to check out our exclusive video preview of the upcoming release after the break and be sure to subscribe to our Youtube channel today for more of the latest updates.